Glaston has received orders for two advanced flat tempering furnaces from Press Glass SA. The orders for the FC Series and Jumbo Series tempering lines are included in Glaston’s Q4/2018 order intake. The lines will be delivered to Press Glass’ production plants in Poland in the second and third quarters of 2019. 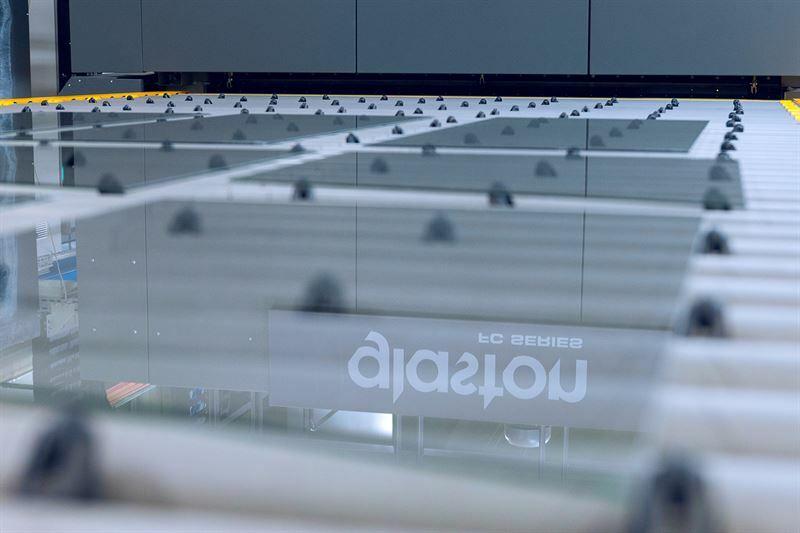 The Jumbo Series machine for sophisticated, jumbo-sized architectural glass, was launched at Glasstec 2018 and is built on the reliability and experience of 50 years of delivering high-end tempering lines worldwide. Glaston’s customer relationship with Press Glass goes back to 2003 and is based on a common understanding for technology leadership and best quality. To meet growing demand and to respond to developing market needs, Press Glass has constantly increased their production capacity. In addition, the company has systematically invested in state-of the-art technology in order to guarantee top quality of the glass. As a result, Press Glass’ glasses are to be found in demanding architectural projects. Founded in 1991, Press Glass has a total of twelve production plants located in Poland, Croatia, the United Kingdom and in North America, thereby holding the position as a globally active leading glass processor in Europe. Glaston tempering furnaces are used in several Press Glass locations. The lines are typically big sized and always fully equipped with latest technology for highest quality. “The cooperation with Press Glass is much appreciated. It’s very rewarding to have an open dialogue with a company that truly values innovation and new technologies”, says Pekka Hytti, SVP, EMEA at Glaston Corporation. “Our aim is to cooperate with suppliers offering us not only state-of-the-art technologies but more – a performance customized individually for Press Glass and reliable operation creating our unique know-how”, says Tomasz Wozowicz, CEO at Press Glass SA. FC Series™ and Jumbo Series™ are trademarks of Glaston Corporation.